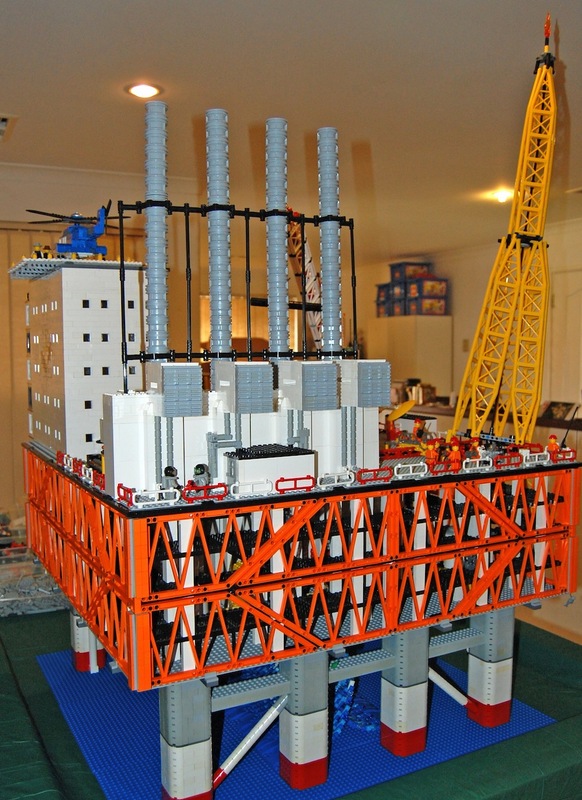 We have just finished our latest project - an LNG platform! 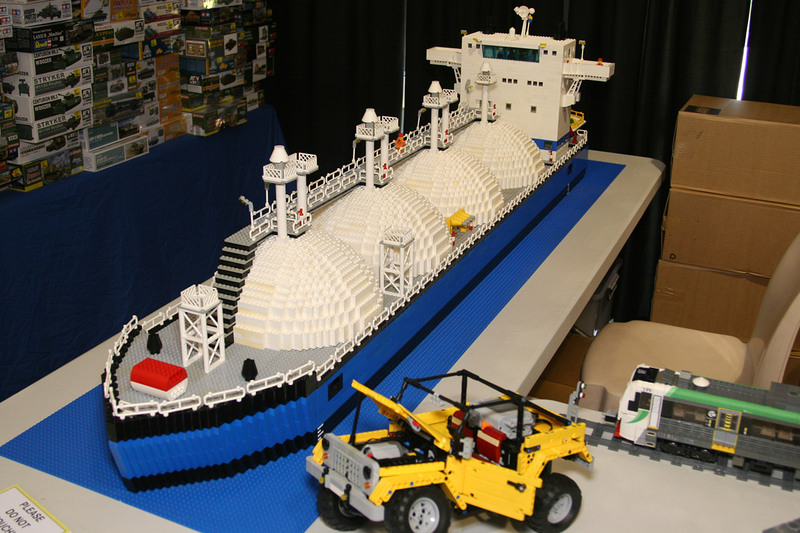 Also known as a tension leg platform, we built this project for display at Woodside, along with the LNG tanker seen here. 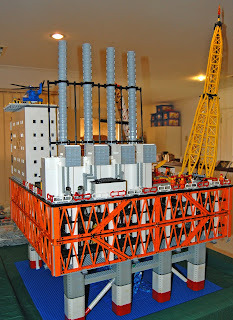 It has taken just over two months to build this massive structure. It's a fine job by the dedicated club members who donated their time and effort. Fantastic work people! Here are some preview images. 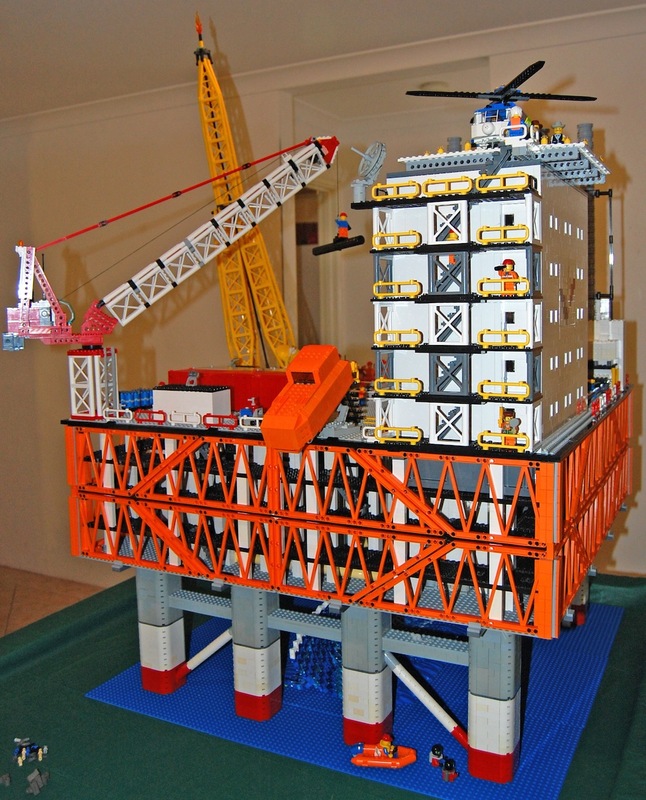 Features of the platform include: the accommodation unit, helicopter pad, crane, flame tower and lifeboat. 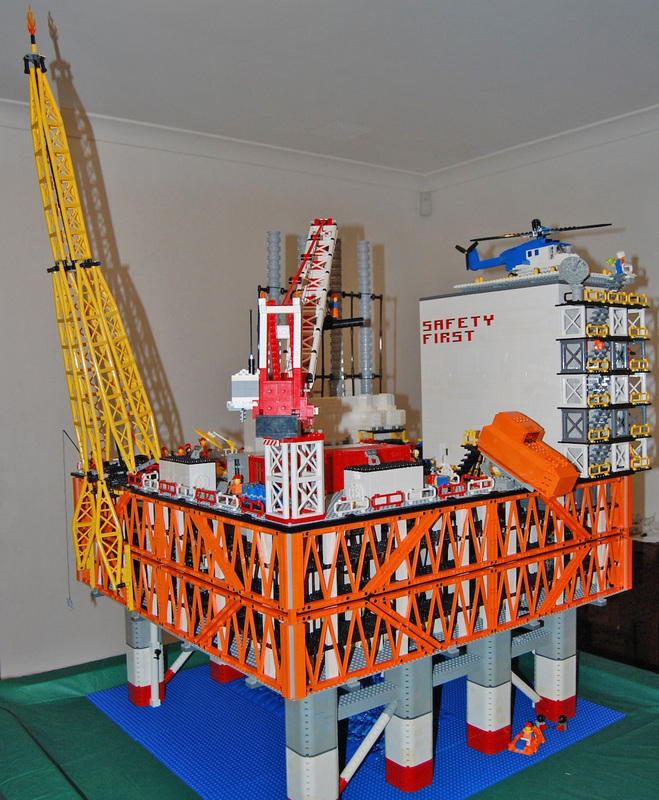 The base is 3 by 3 baseplates (0.768m), and the rig is 1.32m at the highest point, about 1m at its widest. 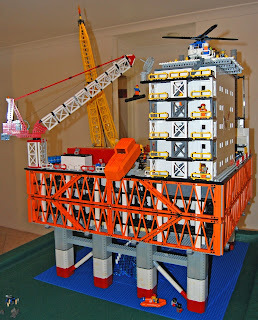 For more images, visit the gallery on brickshelf here.